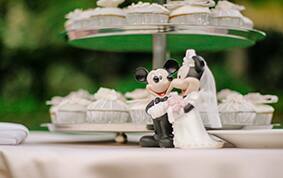 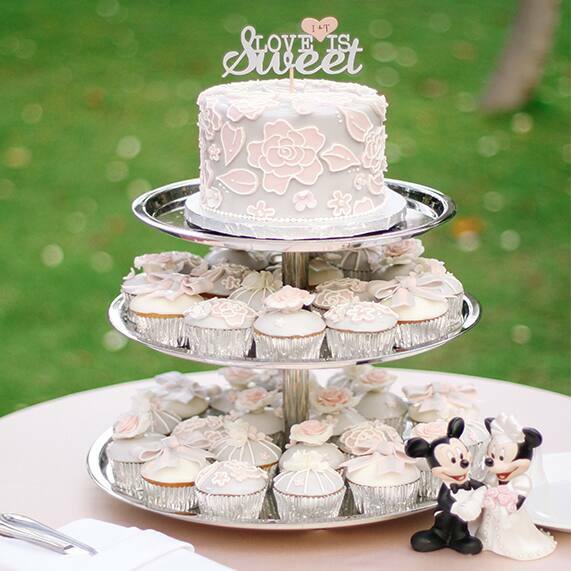 Cake, cupcakes and macarons made for the sweetest wedding trifecta ever! 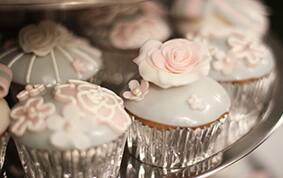 Can't decide on which to serve at your wedding reception? 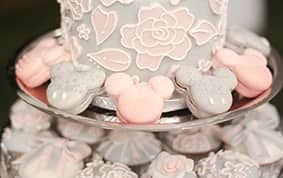 Why not go for all three like Edelwisa and Tetsuya did at their Aulani, A Disney Resort & Spa wedding reception- I guarantee your guests won't mind one bit. 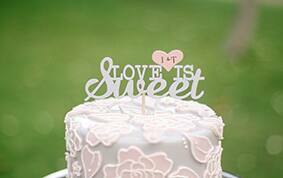 Of course no cake is complete without a personalized cake topper, and this one is definitely as sweet as sugar!